When a Jose Mourinho team loses, and in this case Chelsea, it’s usually everyone’s fault but his own: The referee, the FA, the pitch, the opposing fans and team. But when it comes to losing against a lower league team with the Premier League leaders already up by two goals? There still hasn’t been the manager audacious enough to not put it on himself and his players. Well, Mourinho does have his limits. In the 4-2 loss to Bradford he doesn’t say he failed or anything. He suggests that possibly his prematch preparation didn’t go through but mostly, he puts the blame on the shoulders of his players. After playing Liverpool in the middle of the week with the approach of parking the bus, maybe holding on to a lead without defending for their lives whilst playing with a weakened lineup was a bit too much to ask. But overall, besides going into the rival’s dressing room and congratulating them, Mourinho stayed on point in his post match interview. He raved about the beauty of football and especially the uniqueness of it in England, and that he and his players should feel embarrassed. 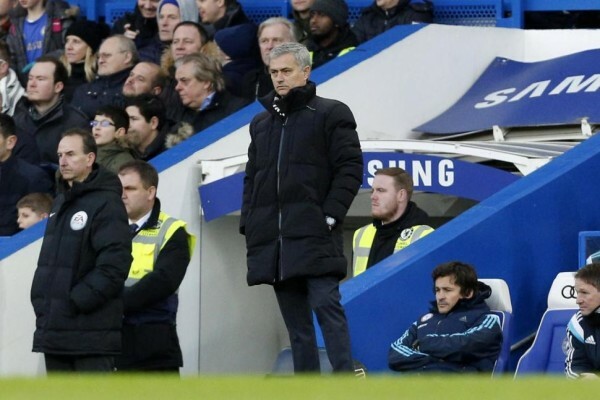 This is a moment to cherish, because it’s hard to see Mourinho in such a good mood after a loss. No sarcasm, no cynicism, not attempt at blaming anyone or throwing players under the bus (a little this time, subtle, not too much). This might be the last time we see him in this kind of mood after a loss this season.